Graham was speaking on “Fox & Friends” earlier this week about the president. "I appreciate that we have a president who understands prayer and solicits prayer," Graham said Sunday. "Our country is in trouble, the world is in trouble, and the perplexity of the problems that the president faces every day — at home and abroad — is just incredible." Graham said those in authority need prayer and they’re not perfect. "They're imperfect, and that's why God wants us to pray — to pray for the president, all those that are in leadership, and the president in turn asked us to pray for our soldiers, and those that were leading this charge, and for the Syrian people,” he said. 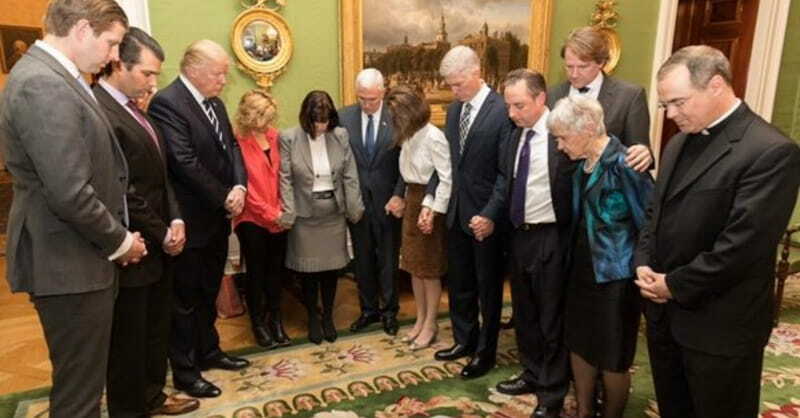 “And I just appreciate that we have a man in office that understands the power of prayer and the need for prayer." “We pray that God will guide the whole region,” he said on Friday. The U.S., France and the U.K. launched airstrikes Friday after the Syrian government used chemical weapons near the capital city of Damascus earlier in the month. The chemical attack killed dozens of civilians and injured hundreds, according to The Christian Post. Graham said Sunday that Americans should support the president despite their party affiliation. “Whether you're a Democrat or a Republican, the fact is that Donald Trump is the president of the United States," Graham said. "And if he does well, makes good decisions, it benefits all of us as a nation, regardless of our background … We need him to succeed at home, and we need him to succeed abroad. It's not about winning or losing, it's about succeeding for all Americans." Graham did not support Trump during the presidential primaries, but later, in the general election, he asked supporters to vote for Trump.